Tank Wars: 3001 | Mac App Storeのアプリ検索・ランキング BuzzMac! 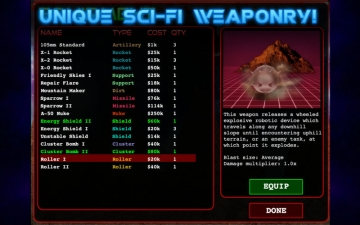 Engage in sci-fi combat with over 50 unique weapons! 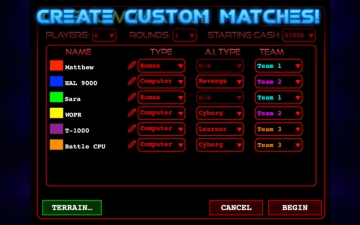 Battle your friends or multiple computer AIs in custom matches, or test your trigger-finger in Tournament mode with 11 stages of increasingly-challenging computer teams. 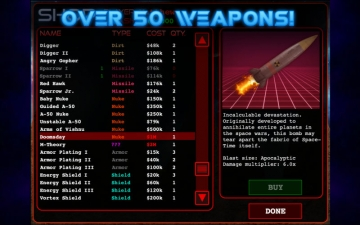 Earn cash and upgrade your tank with artillery, rockets, missiles, nukes, dirt bombs, and vaporizers. Protect yourself with support flares, energy shields, armor, and more. Carefully hone in your ballistics trajectory to setup the perfect shot, and then load up your heavy weaponry for the final kill. 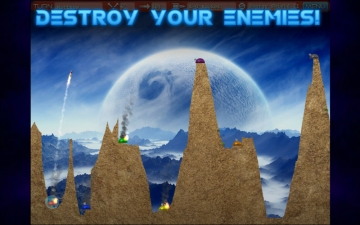 - Destroy your enemies using artillery, rockets, missiles, nukes, dirt bombs, vaporizers, rollers, energy shields, support flares - and more! - Support true Indie game development: no backers, no kickstarters. Homegrown classic gaming at its best! 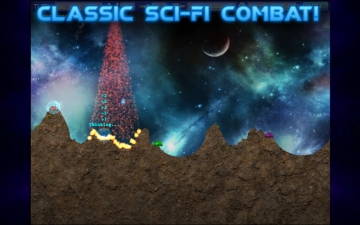 Will you achieve fame, fortune, and a legendary status in the Tank Wars tournament? Or will you be blasted into radioactive vapor and quickly forgotten? The choice is yours. Good luck, tank operator!